As always, allow me to assist you in helping you find the perfect home. 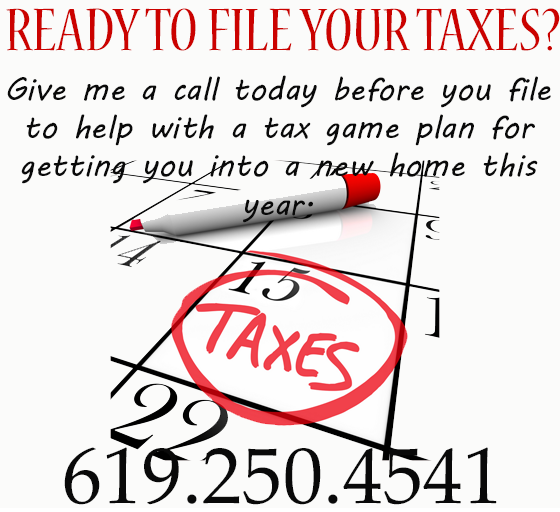 Give me a call today at 619-250-4541. We’ve all seen those homes that make us do a double-take when passing by. We’re mesmorized by their vast beauty, the marble pillars, and the giant lion statues in the driveway. Here’s a list of some of the most unique homes that truly stand out—one if our very own San Diego backyard! From the street, this house might look like any ordinary Georgia ranch style home. 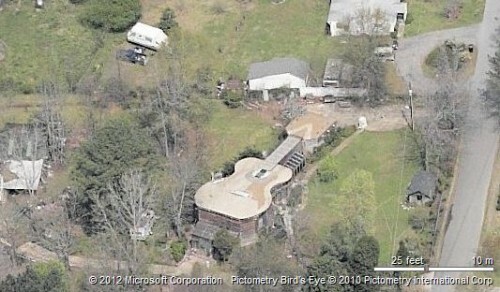 But from above, it’s in the shape of a guitar, complete with electrical wires to mimic strings. 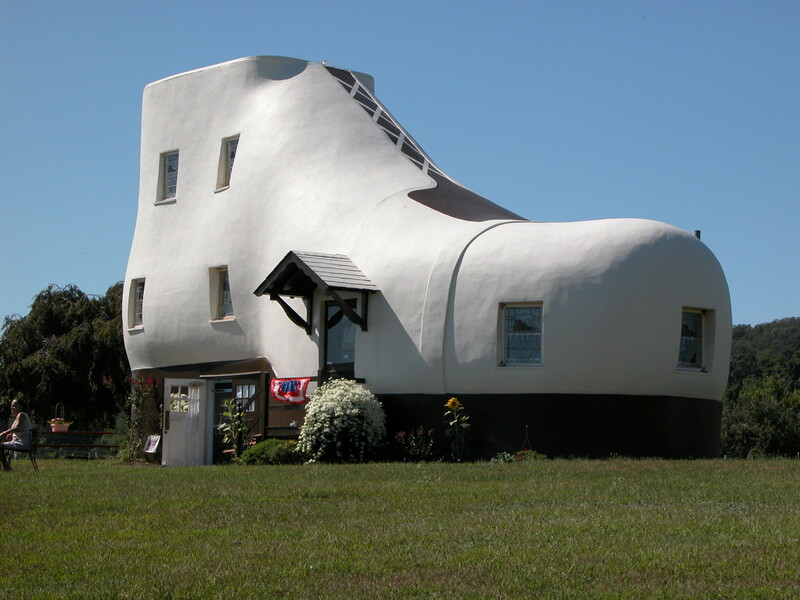 Located in Pennsylvania, this 1948 landmark home, built by shoe store tycoon Mahlon Haines built this home as a marketing gimmick. The home features a stained-glass portrait of the owner himself. This “rotating home” right in the heart of Mt. Helix generates 80% of it’s own power using solar panels and a floodable roof. 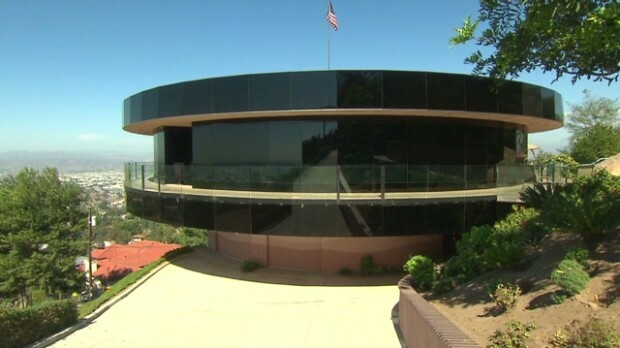 The house can be rotate in either direction while still being connected to all of it’s utilities and has two turntables in the garage so that cars never have to back out. The house even has it’s own website, http://www.rotatinghome.com! 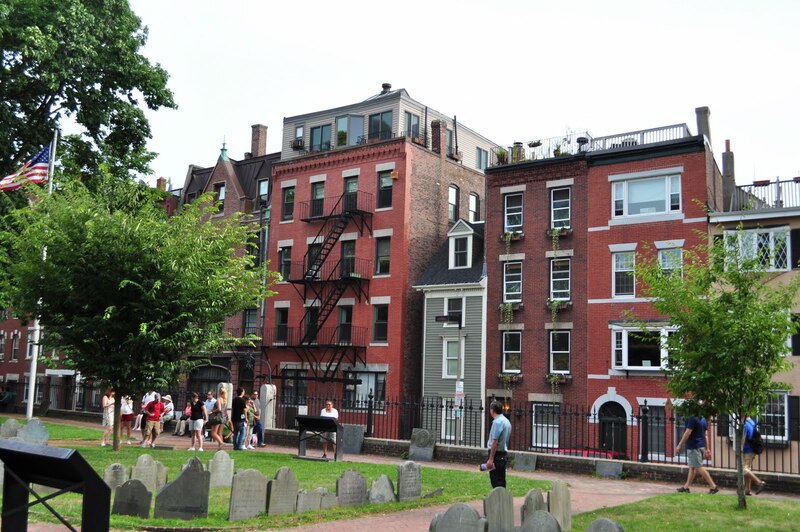 Built in 1890, this house in Boston’s North end is just over 10 feet wide. The front door is positioned in the side ally and was allegedly built to obscure a neighboring houses view. 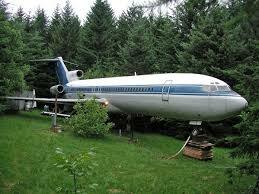 This retired Boeing 727 sits on a wooded lot in Hillsboro, Oregon. The aircraft provides 1,066 square feet of living space. 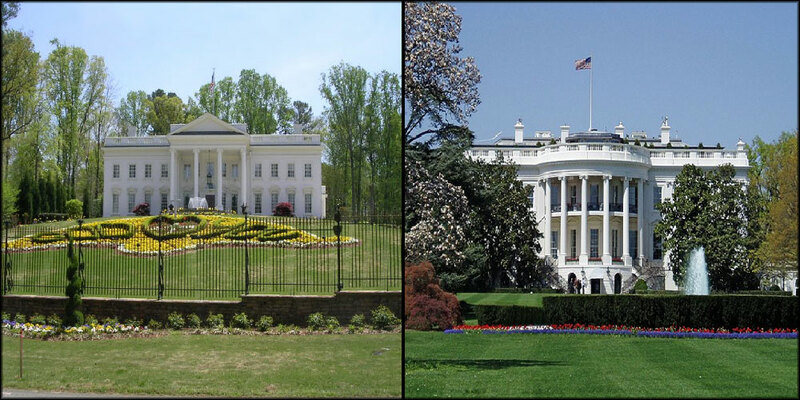 Inspired by an Atlanta home builder in 2001, this Atalnta White House is a replica of the famous Washington D.C White House, with 16,500 square feet of space, 36 rooms, and an Oval Office. Have your own unique home? Send us a photo and we’ll share it on our blog! Thinking about moving to the Rancho San Diego or El Cajon area? 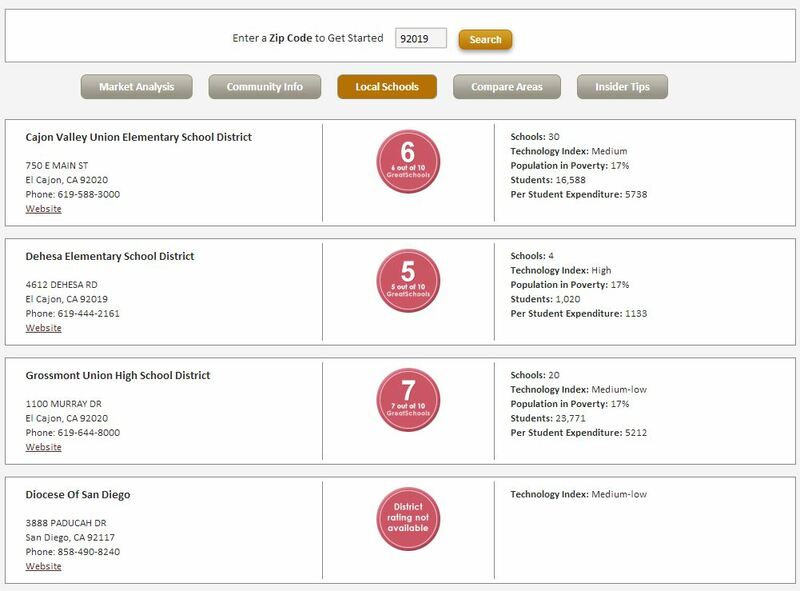 Check out the local schools in the area! Being a potential home buyer, the first thing they look at is a home’s curb appeal. I’ve come up with the best landscaping tips to help sell your home in today’s market. An attractive and well-maintained landscape can add up to 10 % of your home. Spruce up your outdoor containers by adding interest to patios and doorways. 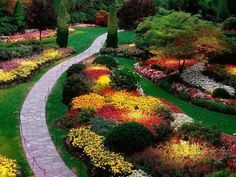 Apply a fresh layer to all your garden beds to enhance color and contrast the plants around it. Seasonal color makes the landscape pop as well, so go for a splash of color. It’s always a good idea to tidy up any herb plants that don’t look as good as they should. Clean up any water fixtures to get rid of any visible algae, remove leaves, and clean filters so that the water is clear and clean. Take care of any irrigation issues by making small repairs and provide information about your irrigation schedule. Label as many plants as possible so that the buyer knows what each plant is and how to assist in their growing needs. 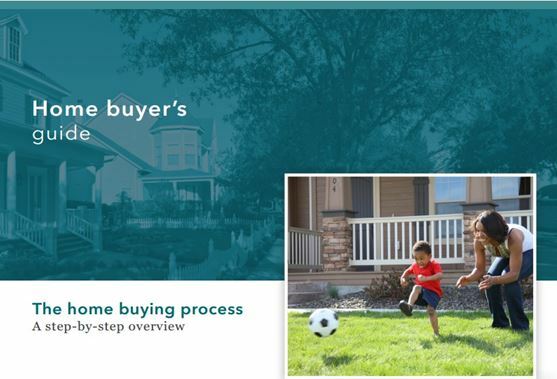 When selling your home, the most important thing I tell my sellers is to step out of your own shoes when looking at your home and step into the buyers shoes. 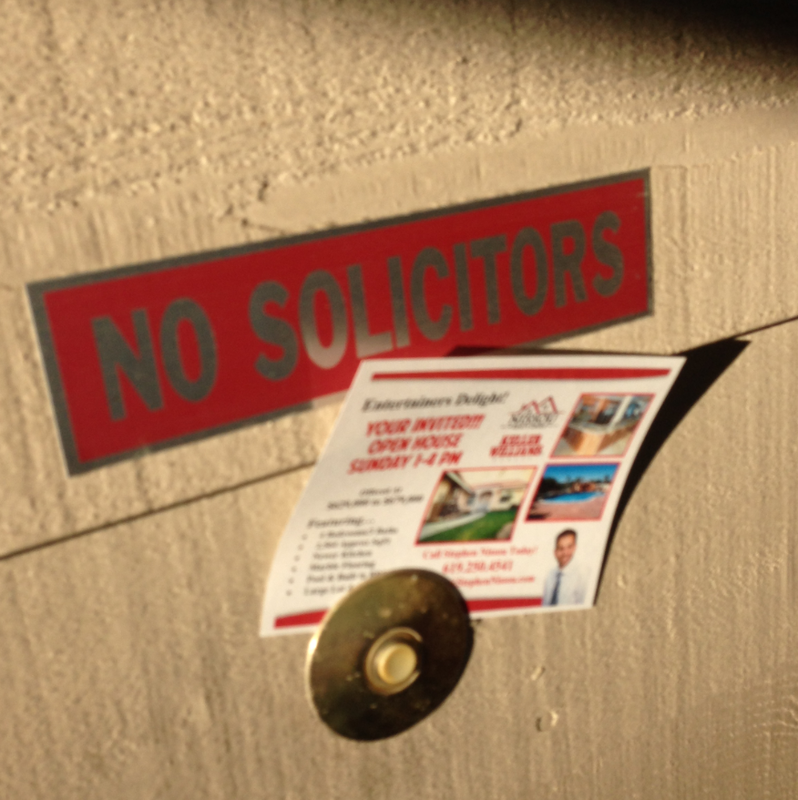 Take a good look at your home and property and ask yourself if it’s appealing to a buyer. 1) Safety: Is this home safe for their family and pets? Are there locks on the appropriate doors (front door, garage), are there fire and carbon monoxide alarms, and what is the neighborhood like? Check each window throughout the home to be sure that there are locks on each one, and that they open and close properly. 2) Maintenance: Is everything working correctly in the home? Does the garage door(s) go up and down? Is there anything that needs repairing? Do any walls need to be repainted? 3) Appearance: Is the home clean, and clear of clutter? Is there too much color, or not enough? Does the landscaping need to be done? – Fix what you can see. Make the necessary cosmetic changes. Start from the outside (the front yard, then backyard) before moving into the house. – Remove the clutter from each room, beginning with the family room, living room, then moving into the bedrooms, bathrooms, and finally the kitchen. If you use a bedroom for storage only, consider making the room more functional by giving it an office feeling instead of boxes stacked against the wall. – Replace faucets and towel racks in the bathrooms, and be sure that they are spotless and fresh-smelling. In the kitchen, remove appliances from the counter tops and store them in the garage. Repair any cracked counters as well. – A fresh coat of paint can do wonders to the appearance of a home. Always use neutral, warm and soft colors. Try to avoid wallpaper if you can. Seeing a new home is the first impression for a buyer. They’ve never seen your home before. Be sure that the impression you’re offering to them is a good, long-lasting one. Make sure that you give your home a good hard look from the outside in. If the buyer can’t form a good mental picture of living in your home, they won’t be eager to buy it. If you’re not sure where to start, ask me for guidance. My team and I are here to help you anyway we can! Happy happy Friday from Nissou Realty Group to you! What a busy week it’s been! Here’s a little Friday humor to get you through the day! Enjoy! Sometimes we can’t help ourselves. It’s Beginning to Look A Lot Like February! What a great week it’s been so far at Nissou Realty Group – and it’s only THURSDAY! We participated in the ending of San Diego Restaurant Week over the weekend with a dinner at Flemings, and followed up with the Rancho San Diego Farmers Market on Saturday. Yesterday we helped out with a large moving project for a client, and today we have meetings with clients all throughout the day. It’s turning out to be a great week! Tell us how you’ve spent your week, and what you look forward to accomplishing this weekend! 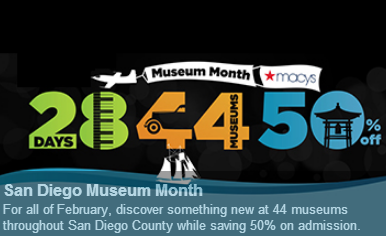 February kicks off San Diego Museum Month with half-off admission to over 40 museums. Explore a variety of art, culture, and science-oriented exhibits. The event begins February 1st and runs through the end of the month. Some of the museums participating in the event are the Birch Aquarium at Scripps, California Surf Museum, Coronado Museum of History and Art, La Jolla Historical Society, San Diego Air and Space Museum, San Diego Museum of Art, San Diego Natural History Museum, and the USS Midway Museum. For more information on the event check out www.SanDiego.org! Who said the New Year’s Party is over? Who said the New Year’s party is over? 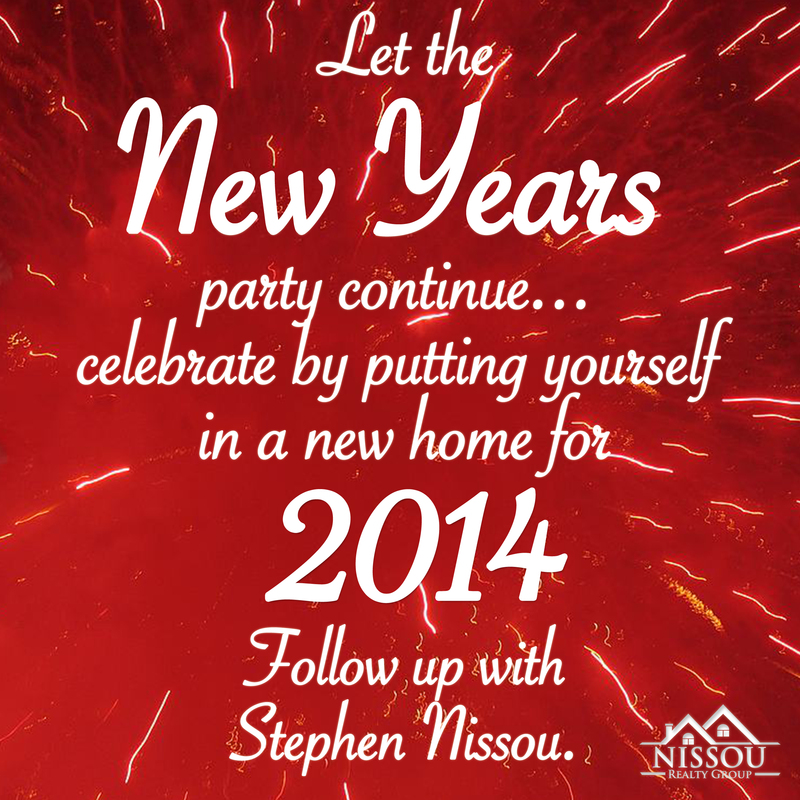 Give me a call today to help put you in a new home! 619-250-4541!